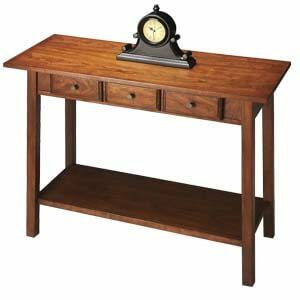 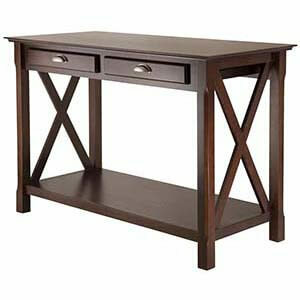 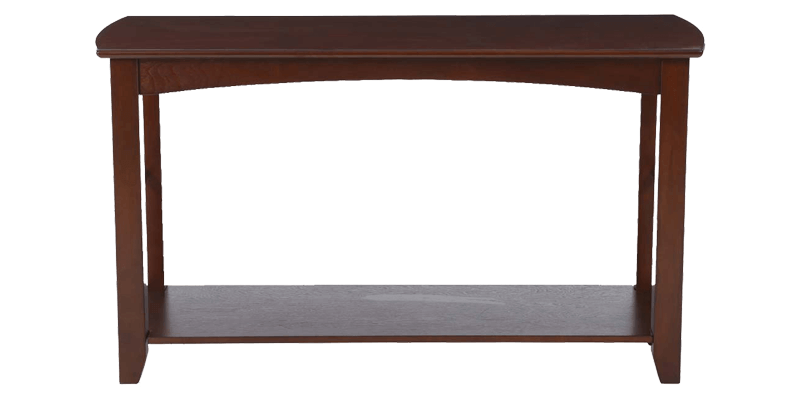 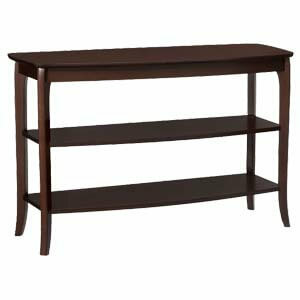 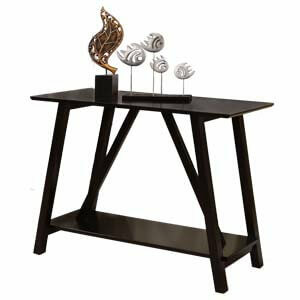 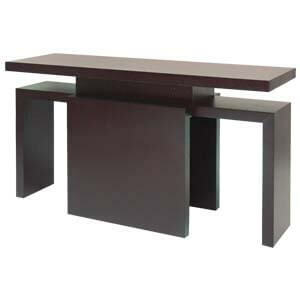 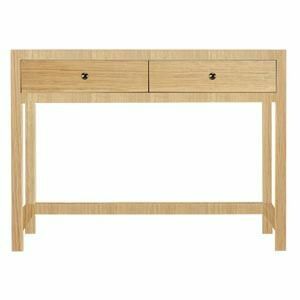 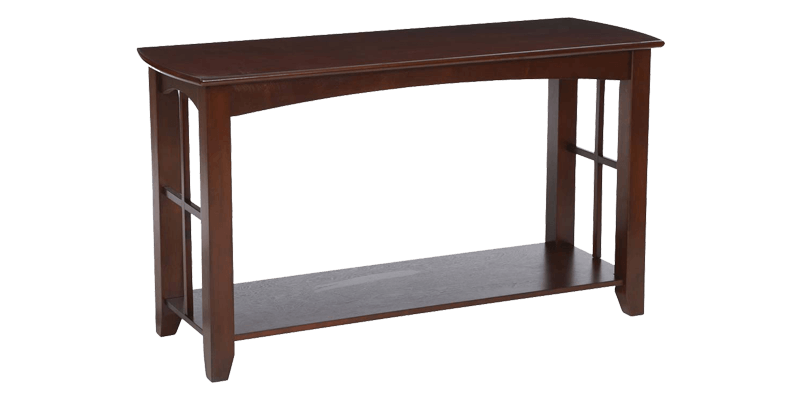 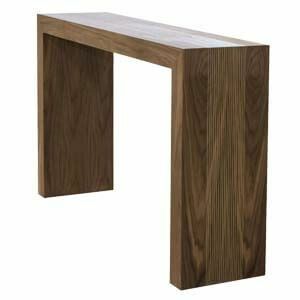 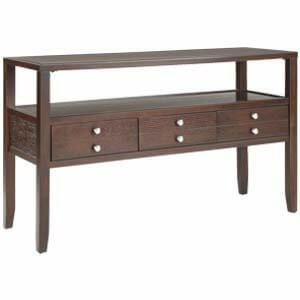 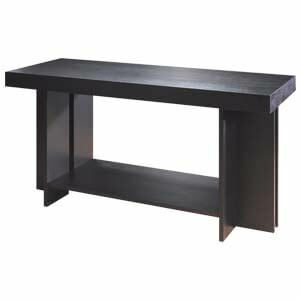 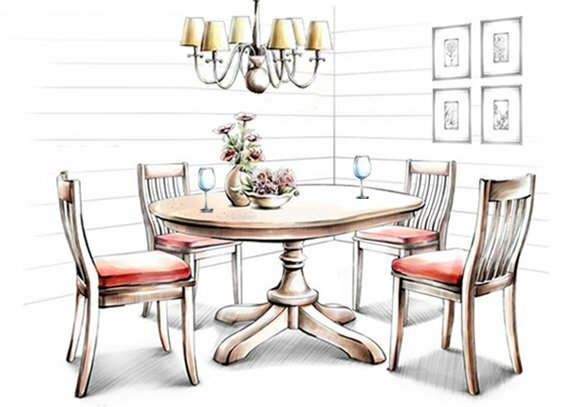 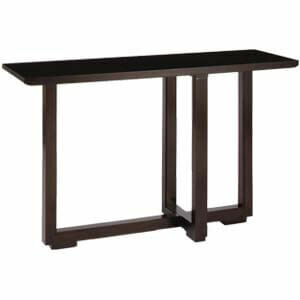 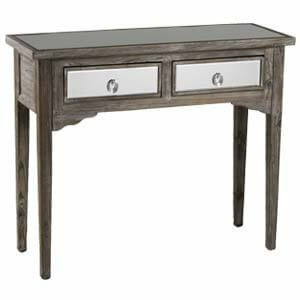 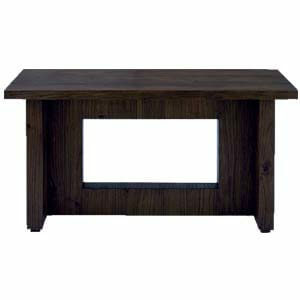 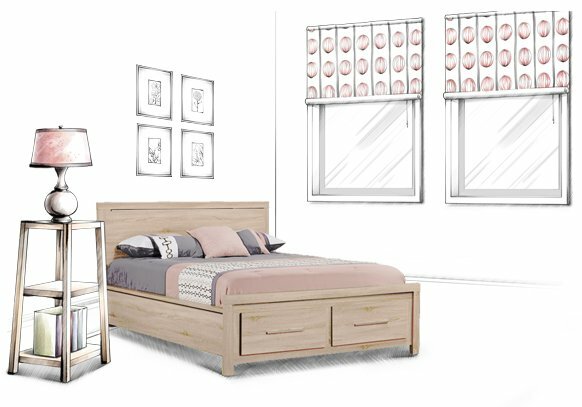 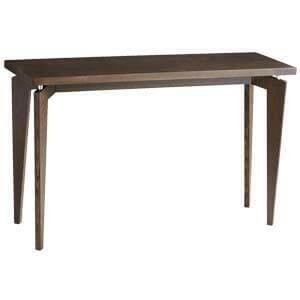 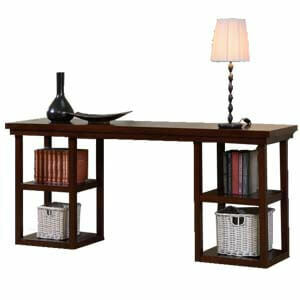 A Transitional style rectangle console table with a laminated thick top accented by bull nose edge. 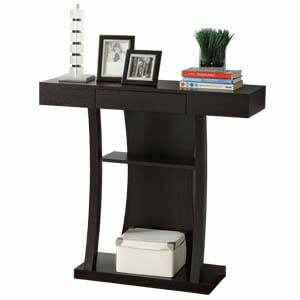 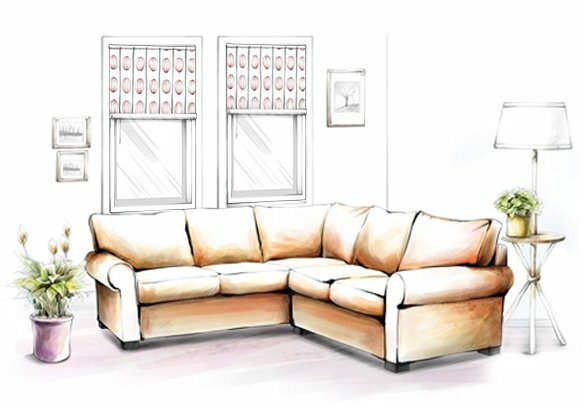 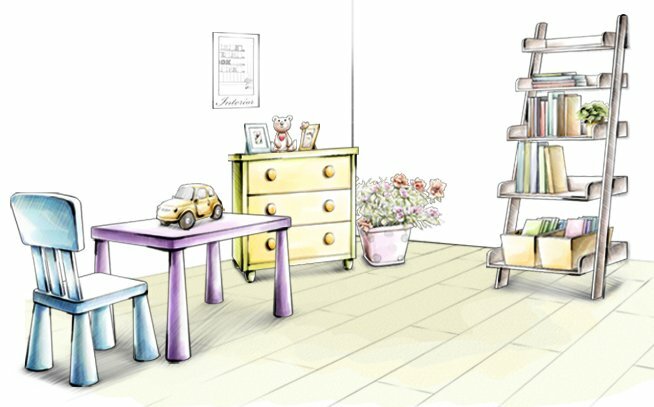 The unit has an open storage shelf that’s supported on square tapered wooden legs. 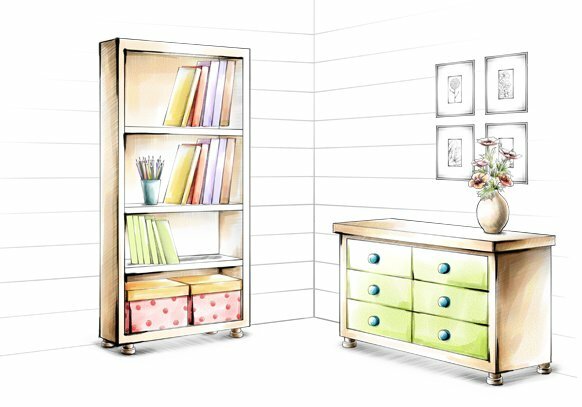 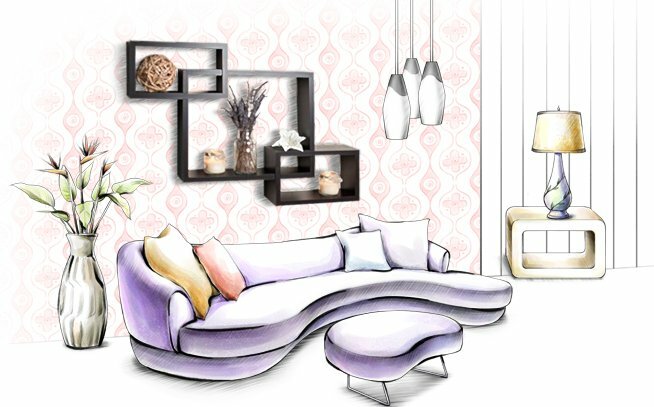 Handmade, it has a stamp of originality that cannot be duplicated.